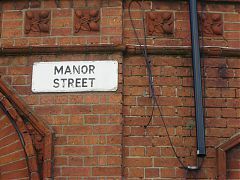 Christchurch Street - Black on white, free-standing. 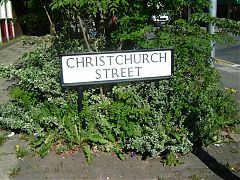 Christchurch Street was just "Church Street" before being renamed in the fifties as part of a project to remove duplicated names across Stoke-on-Trent. 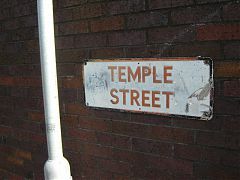 Temple Street (Black-on-White, wall-mounted). 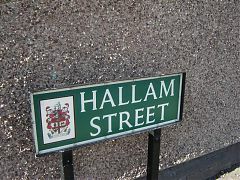 I've uploaded a picture of this before, but this a closer-up view. 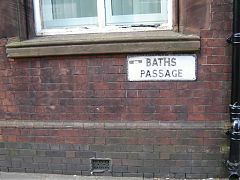 A little pedestrian cut-through in Longton.